The Indus Health Network is looking for dynamic, energetic and vision driven professionals to become part of its team for Punjab region who will take this noble cause further. 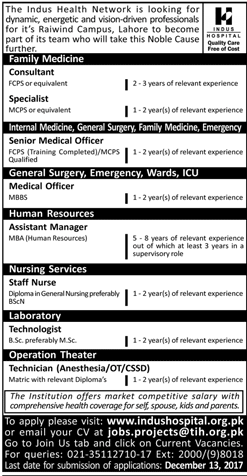 Job Specification for each job is mentioned on the official website of Indus Hospital which is given below. You can also mail your CV at the address given below.